FDIA or factitious disorder imposed on another, erstwhile known as MSBP or Munchausen syndrome by proxy, is a comparatively rare type of child abuse involving the fabrication or exaggeration of symptoms or illnesses by a primary support giver or caretaker. Also called MCA or medical child abuse, this syndrome was named after the eighteenth-century German nobleman Baron von Munchausen for crafting fictitious tales about his journeys and anecdotes to steal the limelight. 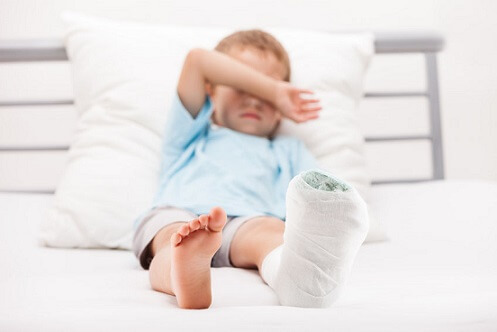 The term by proxy refers to the fact that either of the parents or any other adult is exaggerating or fabricating symptoms in a kid, and not in oneself. MSBP is necessarily a mental illness that requires treatment. The precise cause of this disorder is not known yet, but researchers and doctors are examining the psychological and biological stakeholders that could be held accountable for its manifestation. Some theories do infer that a history of neglect or abuse as a kid or the early demise of any one of the parents may be instrumental in its development. Some evidence likely concludes that a significant stressor, such as marital discord, can potentially trigger MSBP. The differential diagnosis is indeed pretty diverse and is not merely restricted to organic disorders. It also includes somatic symptom disorder, conversion disorder, malingering, and BPD or borderline personality disorder. The diagnosis of severe, fatal types of MSBP remains difficult, and the differentiating factor to distinguish Munchausen from these diseases involve the self-inflicted injury that is associated with deception as well as the absence of apparent secondary gain. As many patients are found to be seemingly productive and functional beyond the hospital settings, even close caregivers find it pretty challenging to detect such people. Some self-injurious behaviors could lead to true disease eventually, such as pulmonary talcosis. Though other behaviors happen to be more episodic, nonetheless, they can still result in death, as in L-thyroxine ingestion. Presenting complaints or symptoms often pose as organic disorders, and if allowed to remain untreated, might lead to life-threatening repercussions. The primary concern in MSBP is to assure the protection and safety of any potential or real victims. Now, this may well require that the kid is shifted to as far as possible from the vicinity of the perpetrator. Honestly speaking; effective management of MSBP cases often calls for the intervention of concerted efforts of a team that involves foster care organizations, social care, doctors, and also the law enforcement officers. The odds of success for treating MSBP patients is pretty slim, as such people are in a constant state of denial that they do have an issue. Additionally, the degree of success depends on the individual telling what is true, and people suffering from this syndrome are often found to be such credible liars that they start to face trouble separating fact from fiction. Cognitive behavioral therapy or CBT, in short, is a kind of psychotherapy or psychiatric counseling that typically concentrates on altering the behavior and also the thought process of the individual diagnosed with MSBP. The principal objective of CBT is to help the affected person to identify the feelings and thoughts that can be attributed to the attitude, and to learn how to form relationships, which are not linked with being ill. There does not exist any single method to prevent this disease, though, it might prove to be beneficial to start therapy in affected persons as early as the symptoms start to surface. Disengaging the victim from the person diagnosed with MSBP can ensure that the victim will not be harmed any further. The prognosis for this syndrome happens to be pretty poor if the kid involved is made to stay in the home. It is also difficult to gauge the overall rate of mortality but is believed to be between six to ten individuals for every hundred. It can very well rise to as high as thirty-three to thirty-four if acts of suffocation or poisoning are involved. An increased rate of morbidity, as well as mortality, is found in siblings of MSBP children too. Consider calling the local CPSA or child protective service agency to seek professional help as soon as one or more of the symptoms begin to appear.